The race is back on to launch the first U.S. bitcoin exchange-traded fund (ETF), after Cboe resubmitted its joint proposal with VanEck and SolidX. Announced Thursday by VanEck digital asset strategy lead Gabor Gurbacs, the Jan. 30 filing would, if approved by the Securities and Exchange Commission (SEC), allow the Cboe BZX Exchange to list shares of a bitcoin ETF trust. Many proponents of a bitcoin ETF believe that the fund will help bring fresh money into the space, creating a more liquid market. The proposal was withdrawn from consideration earlier this month due to the U.S. government shutdown. 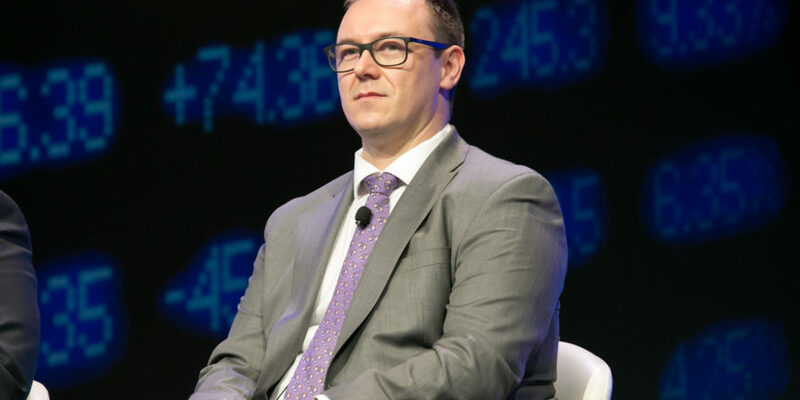 At the time, VanEck CEO Jan van Eck explained that the companies filing the rule change proposal had been in talks with the SEC, but these talks ended when the shutdown began. To avoid a probable rejection due to the closure, the proposal was withdrawn. Prior to that, the VanEck/SolidX filing was facing a final decision date of Feb. 27, after the SEC extended its examination period a number of times. The rule change proposal has not yet been published in the Federal Register, meaning the clock has not yet begun for the SEC to make a decision. Once the proposal is published, the SEC will have a maximum of 240 days to decide whether to approve or reject the proposal. Cboe’s filing comes weeks after NYSE Arca filed its own proposal with Bitwise Asset Management. Like Cboe’s filing, the NYSE Arca proposal has not yet been published in the Federal Register, meaning it too, is not facing any deadlines yet. However, January 31’s copy of the Federal Register did include news Cboe’s previous withdrawal, dated January 23.